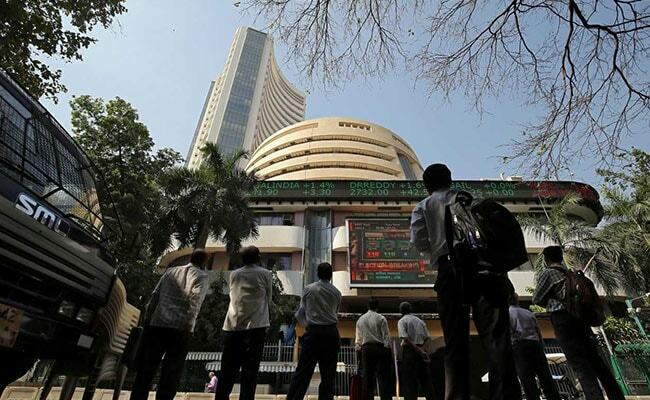 Domestic stock markets started Thursday's session on a positive note but soon turned negative. The S&P BSE Sensex slipped as much as 111.79 points to touch 35,996.68, while the Nifty50 barometer of the National Stock Exchange edged lower by 12.25 points to 10,819.25. Heavyweights HDFC, ICICI Bank, Infosys, Larsen & Tourbo and HDFC Bank contributed the most to the declines on the Sensex. The losses on Dalal Street were led by buying in auto, financial services and banking stocks. At 9:22 am, the 30-share benchmark index traded 2.13 points or 0.01 per cent lower at 36,106.34, and the Nifty was at 10,829.65, down 1.85 points or 0.02 per cent from the previous close. Top losers on the 50-scrip index were Tata Motors, Mahindra & Mahindra, Adani Ports, JSW Steel and Tata Steel, trading between 0.68 and 1.28 per cent lower. Asian shares were subdued on Thursday as political uncertainty in the United States and worries about weakening global economic growth left investors wary of riskier assets. MSCI's broadest index of Asia-Pacific shares outside Japan slipped 0.1 per cent. It has gained 3.7 per cent so far this year. In commodity markets, oil prices extended losses from Wednesday as the EU sought to circumvent U.S. trade sanctions against Iran, and on weaker U.S. gasoline prices.